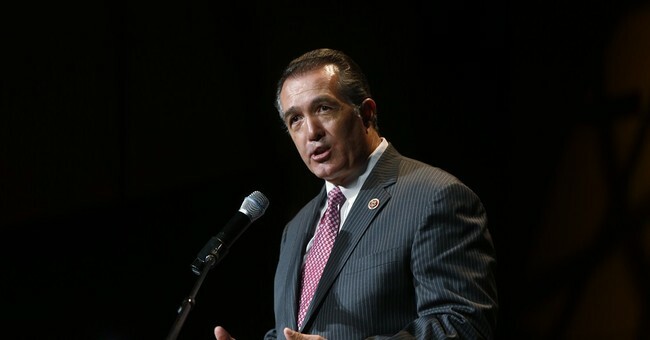 Rep. Trent Franks slammed President Obama on Friday for imposing sanctions on Russia for political reasons, arguing that Obama’s “primary motivation is to delegitimize the election" of Donald Trump. In an interview with MSNBC, Franks noted that Obama failed to act when it came to other Russian transgressions, such as standing behind Syrian President Bashar al-Assad’s bombings of civilians in the country. "Now he suddenly finds his tongue when he sees an opportunity to try to use Russia to, quote, 'delegitimize' the election of Donald Trump to be the president. I find that stunning," Franks said. "I am completely convinced that Barack Obama's primary motivation here is to try to delegitimize the election here." Franks's complaints echo those from Trump's camp. Transition officials have blasted the Obama administration's focus on the Russian hacks into Democratic organizations as an attack on the legitimacy of Trump's win. While hacked emails from the Democratic National Committee and Democratic presidential nominee Hillary Clinton campaign chairman John Podesta may have had an impact on the election, there's no evidence to suggest that Russian hackers breached the vote tabulating process itself. Franks also blasted the media for its characterization of his comments Thursday, when he said, "If Russia succeeded in giving the American people information that was accurate, then they merely did what the media should have done." On Friday, Franks bristled at the suggestion that he was condoning hacks into American systems by foreign actors. "Those comments were completely misconstrued," he said. “I have been deeply committed to making sure their expansionism and their efforts did not result in the deaths of innocent people across the world."